Complete your Greek Goddess fancy dress costume with this chic and stylish Greek Goddess wig. 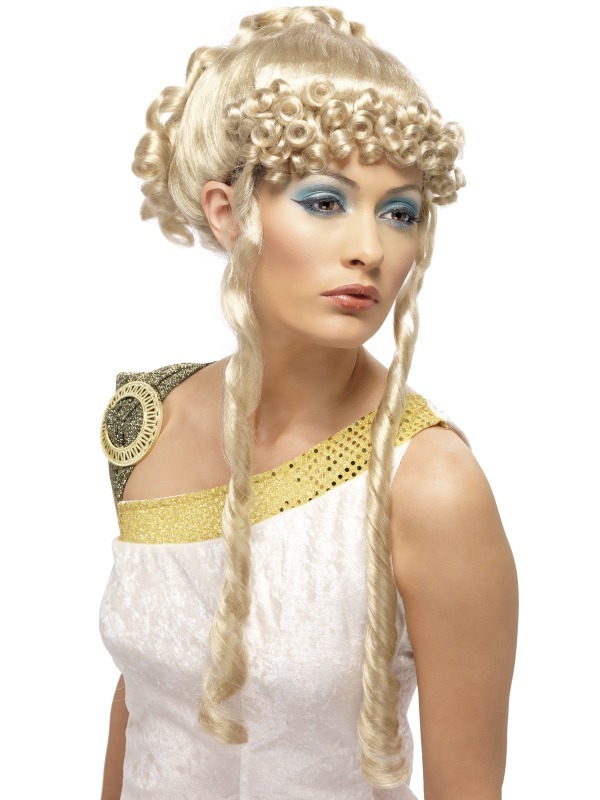 Included is a long blonde wig made from realistic looking synthetic hair styled into beautiful curls and ringlets. The wig is available in one size and should fit most adults heads. 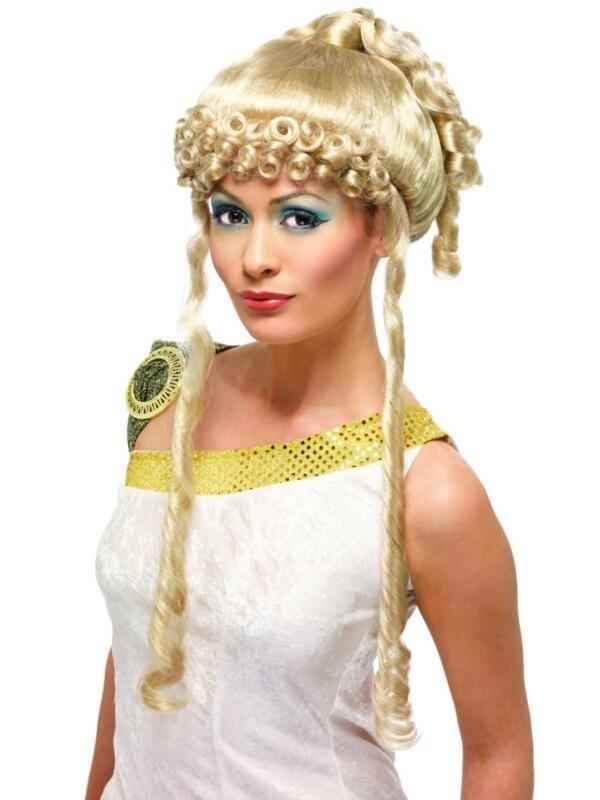 Perfect for a Greek or Roman themed fancy dress party or for completing an Adults' World Book Day costume.